Infectious Complications in Transplant Patients has been uniquely designed and formatted to address issues and trends pertaining to pathogens deemed important in critically ill transplant patients. 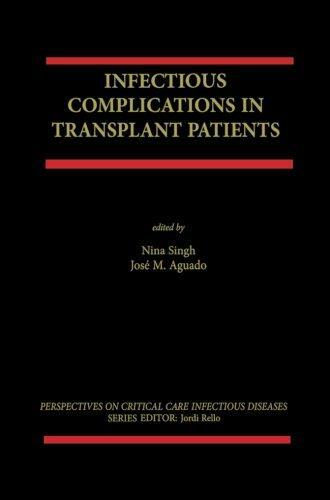 The chapters have been carefully selected so as to direct the focus of the book towards current approaches to controversial, emerging or topical problems in these patients. Each chapter has been authored by a North American and a European specialist. This format serves to impart an added dimension reflective of the diversity of opinions and practices pertaining to unresolved or controversial issues. The authors are recognized experts in their respective fields.